Art.103/104 with single or double outlet. 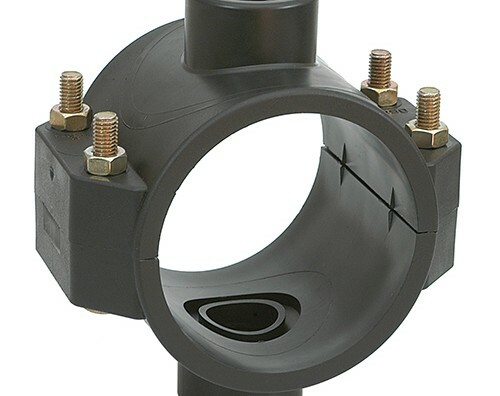 Tube coupling diameter from Ø 20 to Ø 315 mm and threaded inner from ½” to 3”, with 2 or 4 bolts depending on diameter. Art.105/106 with single or double outlet. 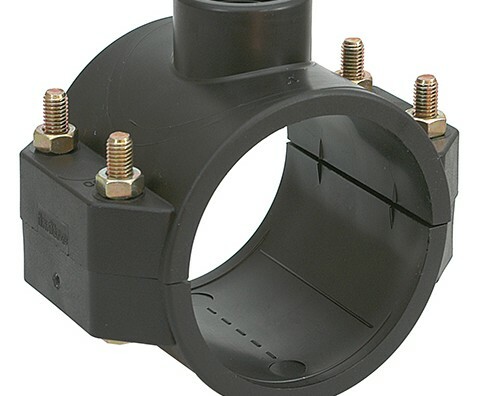 Tube coupling diameter from Ø 20 to Ø 315 mm and threaded inner from ½” to 3”, with 2 or 4 bolts depending on diameter, and metal reinforcement on the outlet thread. 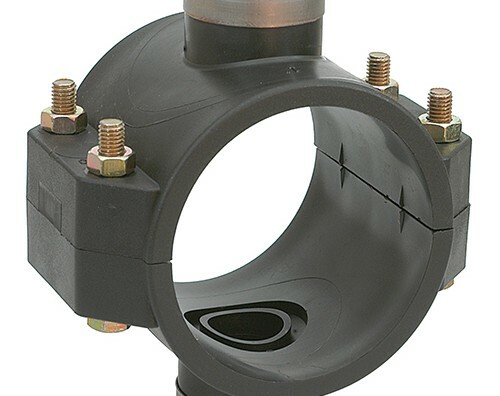 The range of saddle clamps is ideal for the conveyance of fluids for human consumption as the materials used comply with current national and international legislation. The high quality of our products is guaranteed by regular quality control involving rigorous laboratory testing in the most extreme conditions. 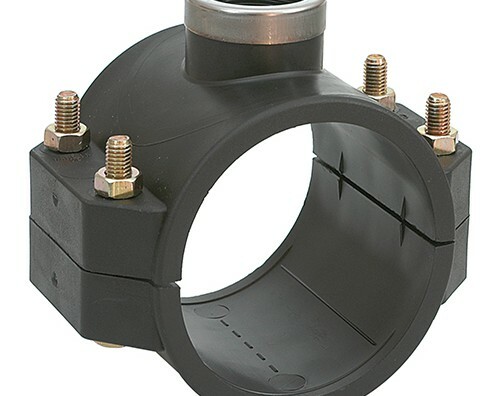 The range of saddle clamps withstands a maximum working pressure (PN ~ PFA*) varying between 4 and 16 bar, at a temperature of 20 °C. For details please see PN ~ PFA* values shown in the table for each individual product. To see the full range of this product and its technical specifications, download the manual.